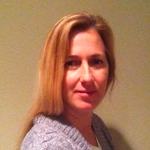 Linda Toon is an Implementation Specialist at Mediware. Prior to working at Mediware, she owned a medical billing company for services to the private practice community. She is formerly certified with multiple software vendors, having specialized in Pulmonology, Podiatry, Rehabilitation and Chiropractic Care. Linda received her medical billing and coding certification from American Academy of Professional Coders and attended Arizona State University.